Being an owner I was surprised not to see one at the latest NEC show last week ,no idea why there wasn't one there . And at previous Mcr shows you’ve had my SS1 DET racer twice and my white Sabre Ti just after it was resprayed. Nah. As a die hard wedge fan and broad marque dabbler I can see no need for factions and division. Given the diverse range of vehicles Reliant produced I think the RSSOC does well to cater for all. Not being funny here but have you offered yours for the main shows? 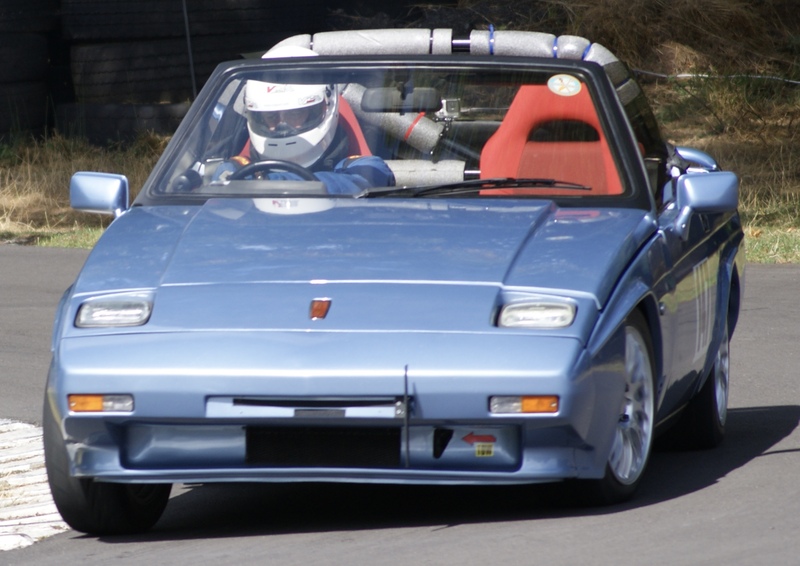 There was a Sabre 1400 at the NEC in November show last year, and there has been a good showing of the small sports cars at the shows over the past few years. Any car can be put forward for the shows, the one in November is primarily designed for the best cars we can put on the stand. The one just gone being a restoration show can have cars from barn/garage finds to thoses under restoration and those completed. I really enjoy the Silverstone Classic, and as I'm no longer gainfully employed I can afford the three-day commitment; I imagine the demographics of "wedge" owners means it is more difficult to commit to shows. BTW ScimmyM, I stopped going to my other club meets, I was the only one there pronouncing the name porch properly. I was referring to NEC shows and my car has not been offered for the main show as I realised that there were better cars. However the restoration show might be a possibility for an imperfect car like mine but without any clarity around the purpose of the stand and what will be there it would be difficult to become involved I was thinking about saving as many small sports as possible by generating interest at the show by allowing more discussion on the stand around the cars ,which is more appararent on some of the other stands at the show. It just comes across as a noggin meeting which considering the amount of effort that goes into the stand does seem a little self indulgent.